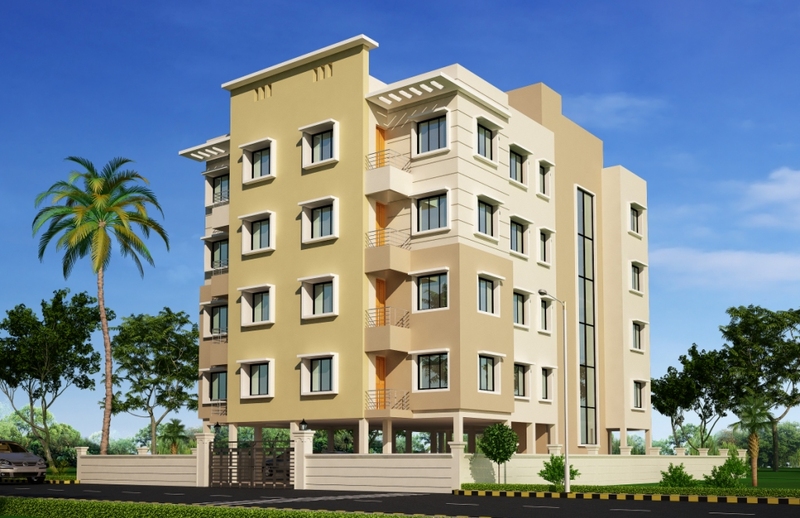 2/3 BHK Apartment In Kalinga Nagar, Ghatakia. DHPL Pride Apartment, aims to enrich lives by setting new standards for customer centricity, architectural design, quality, and safety. It comes with a view that is unbounded and captivating. Every nook and corner of the DHPL Pride reflects beauty in its true sense. It ensures privacy and exclusivity to its residents.The master plan of DHPL Pride is designed in such a way that these Apartments comprises of wide space with proper ventilation at every corner of the house. The interiors are beautifully crafted with designer tiled floor, granite counter slab in kitchen, modern sanitary fittings in the bathroom and huge windows for proper sunlight.